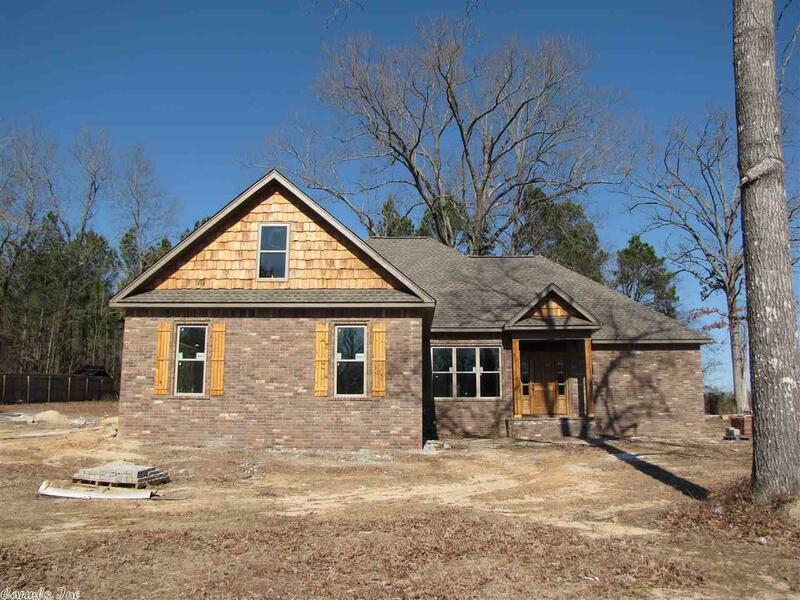 NEW CONSTRUCTION - You'll love everything about this one! The exterior features brick with cedar shake gables and wood shutters, huge covered back porch with wood ceiling and cedar posts. The home offers a large living room with a tray ceiling and barnwood design fireplace, kitchen with dining, breakfast bar, maple cabinets, slab granite counters and wood rustic ceiling, formal dining, separate master w/ a tray ceiling and luxury en-suite bath and large w/i closet, tall ceilings throughout with wide crown.